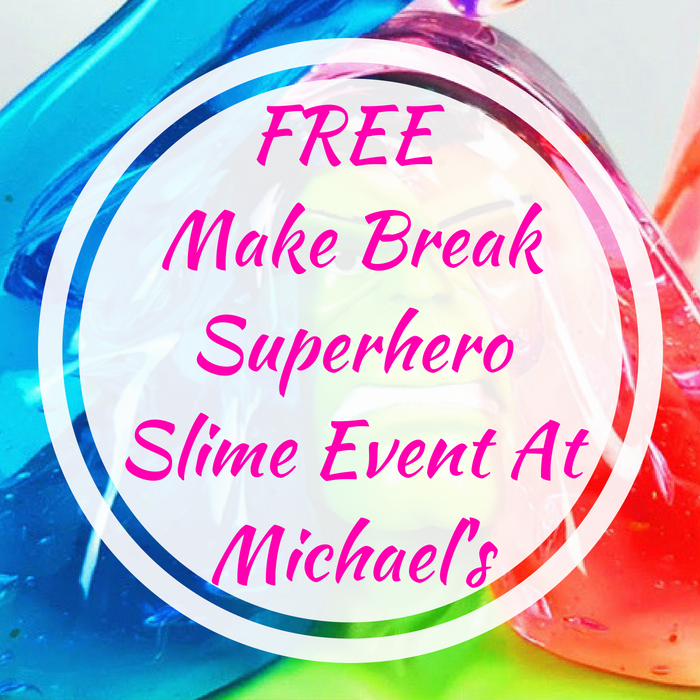 FREE Make Break Superhero Slime Event At Michael's! You are here: Home / Expired / FREE Make Break Superhero Slime Event At Michael’s! FREE Make Break Superhero Slime Event At Michael’s! On June 2, from 1pm to 3pm only! Michael’s Stores will be hosting a FREE Make Break Superhero Slime Event where your kids can participate! All supplies will be provided including pre-made slime. This is gonna be a fun-filled day for your kiddos! Don’t miss it!